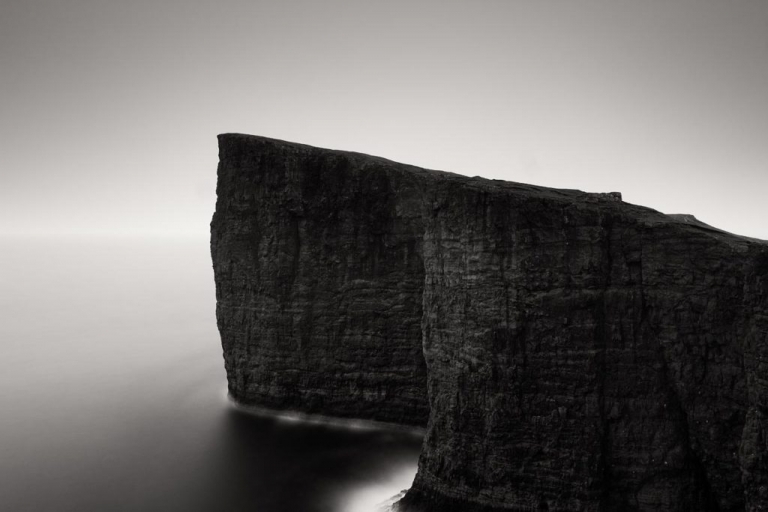 The Faroe Islands are rapidly becoming one of the most popular landscape photography destinations in the world with good reason; the landscapes here are unique and ethereal. 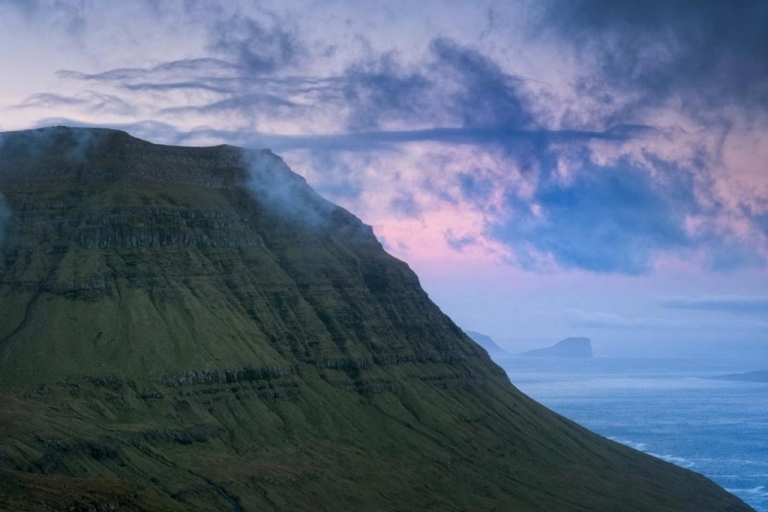 There is simply nowhere else quite like the Faroe Islands. 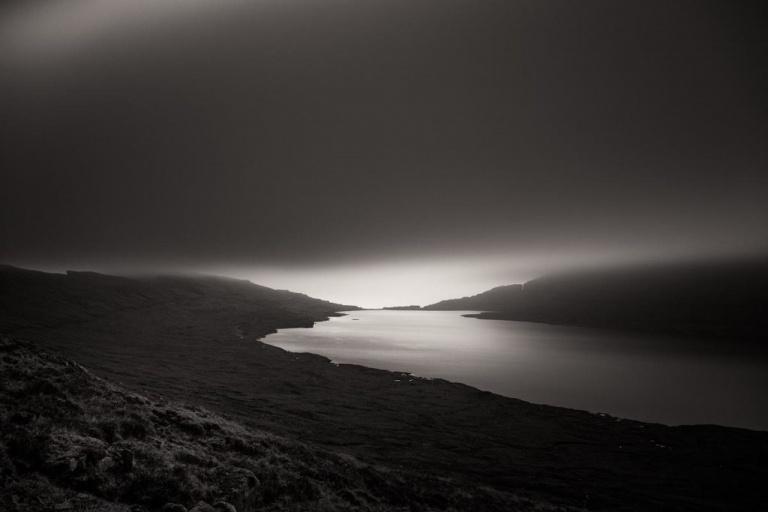 The landscapes & seascapes, the light and the weather often combine to present dramatic, rapidly changing scenes. 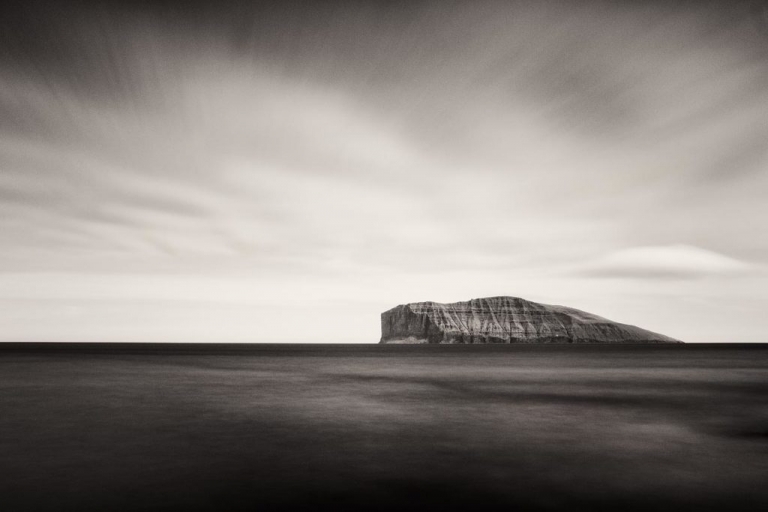 I have visited the Faroe Islands numerous times over the past few years, I return to these amazing North Atlantic Islands each year in April or May to lead my Wild Light landscape and seascape photography workshops. These are the months I like best in the Faroe Islands, the daylight hours are longer and when the sun does shine, as it often does in springtime, the Islands seem to take on a more benign character. Don’t be fooled, though, that benign facade is designed to catch the unwary out as it’s always short-lived and the weather will change very quickly. If a fog bank rolls in from the sea, that warm and balmy spring-like day will, in the blink of an eye, become bitterly cold, dark and foreboding. Changing conditions are the one constant in North Atlantic weather patterns and for your own safety and comfort you need to be prepared for anything! Gear considerations for photographic journeys are more of an issue in these times. Many budget airlines have reduced their cabin baggage allowance weight and dimensions to proportions that are in some cases difficult to comply with. My usual route from my home in Leicestershire to Vagar in the Faroe Islands involves a FlyBe flight to Edinburgh for my connecting scheduled Atlantic Airways flight to Vagar. FlyBe probably have good economical reasons to use Dash-8 aircraft, but their financial considerations definitely do not favour the needs of landscape & travel photographers. FlyBe cabin baggage allowances are woeful and your options are stark; exceed the limits and you risk having to consign some of your expensive photographic equipment to the hold. The other, more acceptable option is to reduce the weight and bulk of your camera gear to comply with rigid airline allowances. I needed to reconsider my equipment choices for my workshops, not only to comply with airline requirements, I also wanted to lighten the load for myself. As much as I like my trusty old Nikon D810 and Nikon G lenses for landscape photography, I wanted to reduce the load that I have to carry around on location. I also need to be certain it will not be seized upon by zealous check-in persons or fail the dreaded cage test at the boarding gate. It was an easy decision, I have invested reasonably over the past couple of years in Fujifilm X cameras and lenses for other aspects of my business. A brace of X-T2’s, a selection of fast prime lenses and an X100F with the T/WCL-X100 converters are my working tools for my wedding, portrait and commercial photography. I would not be happy to consign any of my hard-earned camera gear to the tender care of airport baggage handlers, so cabin baggage compliance is paramount when I’m travelling to a workshop destination. An X-T2 and a choice of three or four XF prime lenses along with my X100F and converters have made the final cut, along with spare SD cards and half dozen spare batteries. I add a basic filter set comprising .6 & .9 hard and soft graduated, 16, 6 & 3 stop ND’s and a polarising filter with assorted lens adapters and holder. This all goes into my Ortlieb Dayshot waterproof backpack as my cabin baggage. With a bit of shuffling stuff around and putting items such as spare batteries, charger, cable releases and a few other robust items into my checked bag, the weight of my cameras and lenses as carry-on baggage is below 7kg, which is the maximum that FlyBe and similar cattle truck airlines will allow. The problem with the Ortlieb Dayshot is that it will not fit into the miniscule overhead lockers of nasty little Dash-8 aircraft, although it does fit under the seat in front. Well, it just about fits under the seat in front, but don’t tell the cabin crew! This is all well and good unless I’m allocated a seat next to an exit. My LowePro Flipside 300 will take my Fujifilm X equipment and does fit into a Dash-8 overhead locker. Atlantic Airways have bigger and better aircraft for the short 1hr 15 mins flight from Edinburgh to Vagar and such paltry allowances for cabin baggage are not something that AA adhere to. Good on them! Soft evening light above Norðradalur, Faroe Islands. My X100F makes a perfect secondary camera for my workshops and landscape work. Although not as versatile when mounted on the tripod, this little camera packs a hefty punch as a general walk-around/documentary/notebook camera and for shooting occasional short video footage. That said, it does work quite well, if rather more awkward to operate on the tripod and does produce images that are the equal of the X-T2 in quality. The X-T2 and X100F complement each other very well as a destination landscape & travel outfit. As a bonus, they use the same batteries and chargers and both take the old style threaded cable release. When I return from workshops I go through my images to see which lenses I used the most. I don’t use zoom lenses, not that I have anything at all against zooms, it’s simply my preference to use prime lenses. The majority of images from my May 2018 Faroe Islands workshop were created with the X-T2 with either the XF 16mm f1.4, the XF 14mm f2.8R, the XF 23mm f1.4 or XF 56mm f1.2 I use my X100F with it’s fixed 23mm lens, occasionally with the WCL-X100 wide converter extensively. That equates to two bodies and six different angles of view. I find this the optimum set for covering most landscape and travel situations from 21mm-85mm equivalent in a very compact outfit. The temptation is to take every lens and body you own to a workshop, but reducing your load and choices reduces decision-making in the field to easily manageable levels. Your mind’s eye will rapidly lock-in to the angles of view of the lenses that you have available and you’ll just get on with the photography. I also believe this minimal approach encourages me to make small but potentially important adjustments to my viewpoint due to the absence of a zoom lens in my inventory. Of course you can do all this with a heavier camera and zoom lens, and probably do, but I find the process less cumbersome with the smaller and lighter Fujifilm X cameras and correspondingly lighter tripod & head. The cross-compatibility of batteries and chargers between two very different cameras like the X-T2 and X100F, similar user interfaces, menu options and configuration options makes this a versatile pairing for my needs. It’s impossible to ignore the comparison to dslr systems where the only real options for back-up gear are to either double up on the primary body, which means doubling the outlay, the weight and bulk, use a lighter, less-well specified body from further down the range (still heavy & bulky!) or try to balance images across brands and use a smaller secondary camera from a different manufacturer. I cannot deny that the Nikon D810 and D850 dslrs are supreme digital cameras for dedicated landscapists, but mirrorless is being driven by market demand and it’s difficult to predict a long-term future for dslrs, especially in the face of the new wave of so-called ‘medium format’ mirrorless cameras like the Fujifilm GFX and Hasselblad X1D. Both Nikon and Canon are falling further behind Fujifilm, Hasselblad, Sony and Olympus. I hope they can address this properly before it’s too late.